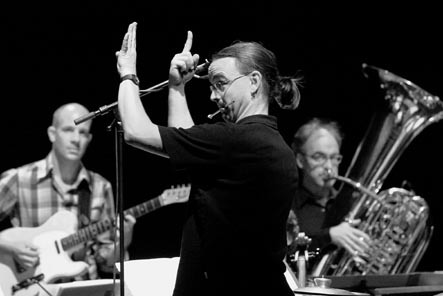 Der Schlagzeuger, Bandleader und Komponist Lucas Niggli führt für sein sechsteiliges Werk «Sweat» die Jazzband BIG ZOOM und das ENSEMBLE FÜR NEUE MUSIK ZÜRICH zusammen. 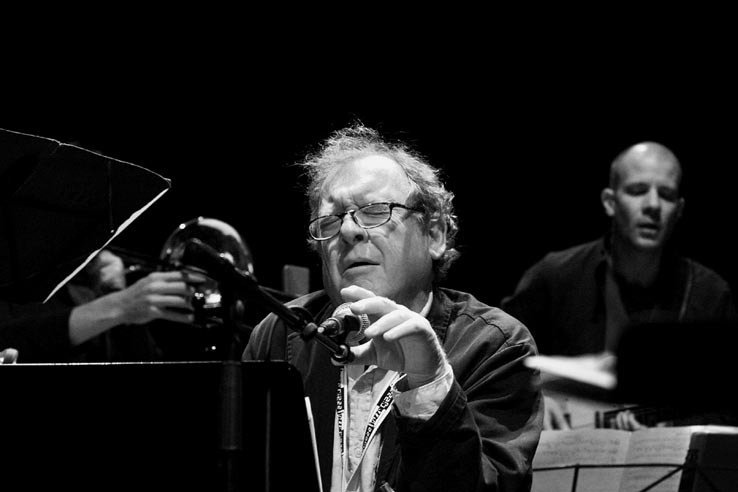 Als Gast ist der Sänger Phil Minton dabei. «SWEAT» ist eine Weiterführung und Erweiterung der beiden Workingbands ZOOM und BIG ZOOM. Niggli spielt auf «Sweat» mit Traditionen aktueller Musik, zitiert Klänge von Bigband, Free Jazz, Punk, moderner Kammermusik und schafft so ein neues Ganzes. Schnitt und Montage prägen die Struktur. Auf eine Folge von Cuts, Zooms und Spots folgen beeindruckende Improvisationen von Nils Wogram, Claudio Puntin, Phil Minton oder Philipp Schaufelberger. 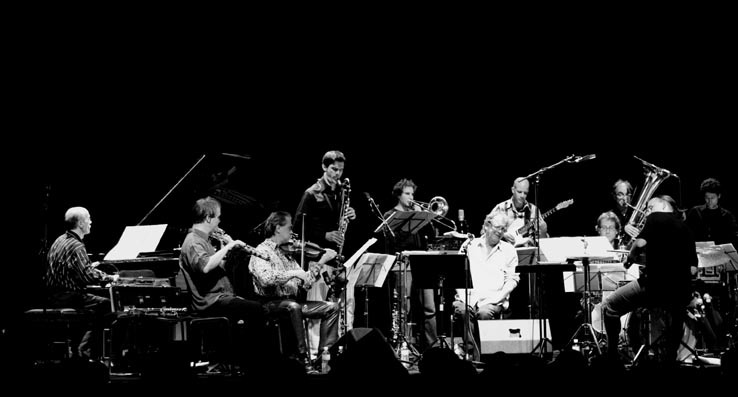 "Appropriate to a collaboration with a new music ensemble, many of Niggli's pieces are suites. The lead-off track, for instance, is an anthemic anti-nationalist suite (based on rhythmic relations between 3 and 7, if you're counting É) that's perfectly designed for Minton, who is something of a specialist in Anti-Anthems, having sung wondrous versions of the anarchist anthem in the past. 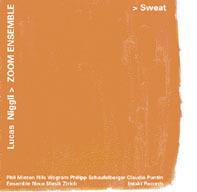 On "Sweet Sweat" Niggli's rock roots are showing Ð after Minton's alternately strangulated, surreal and serene intro, the ghost of Zappa lurks somewhere nearby, in the rock and jazz-rock outbursts. The drummer explains that the sweatiness of the project was both positive - sweat of a good performance ("I love intensity and energy, to create music under the biggest physical and mental presence") Ð and also more troubling ("writing this whole program was like having a disease, fever"). The sweats. Trying to come up with something compelling, something right, something not trite. Sweat it out. Niggli worked from the kit, creating material, singing parts over the rhythms, then slowly developing it into arrangements and finally these suites. "I like to write complex parts, but always give enough freedom that all the musicians, especially the improvisors, can interpret my music. Then it becomes a collective work! "